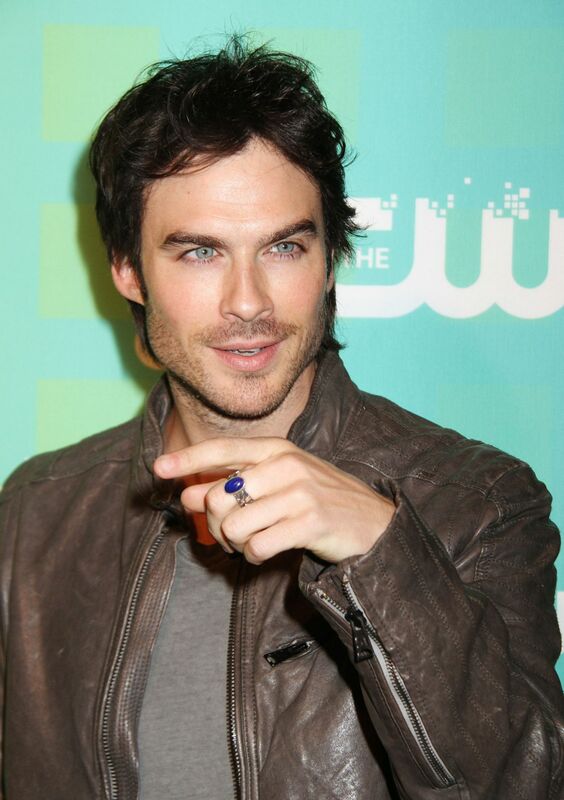 IAN AT THE 2012 ENVIRONMENTAL MEDIA AWARDS! Ian attended the 2012 Environmental Media Awards yesterday (September 29, 2012), I have added 21MQ photos in the photo gallery! 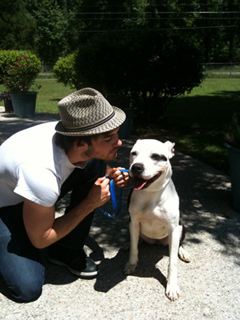 Ian Somerhalder posted a sweet photo of himself and a dog at a kissing booth at the Best Friends Animal Society’s annual Strut Your Mutt fundraiser on Saturday (September 22). The Vampire Diaries star is teaming up with the charity – held in Lafayette, Louisiana – to try to raise $150,000 for a project which will go to abused animals and a teaching facility for kids who have bullied others. As for fans of The Vampire Diaries – The CW series premieres on October 11. 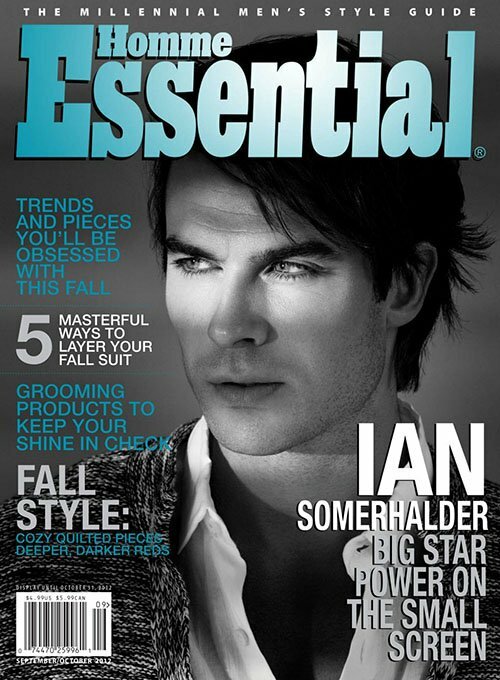 IAN SOMERHALDER COVERS ESSENTIAL HOMME SEPTEMBER/OCTOBER 2012! Looking handsome as ever, the 33-year-old actor donned an Armani Exchange cardigan for the Matthew Lyn shot front page while talking about everything from acting to rumors that he wants the lead role in the “Fifty Shades of Grey” film adaptation. IAN SOMERHALDER AT COMIC-CON 2012! Ian and the rest of the cast of The Vampire Diaries were at Comic-Con this past weekend, I have added photos of Ian this past weekend in to the photo gallery. IAN SOMERHALDER AT JOHN JOHN EVENT! 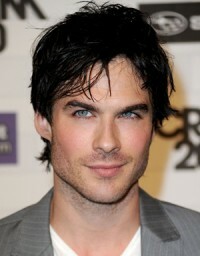 Ian Somerhalder hangs out at an event for denim brand John John on Thursday (May 31, 2012) in Sao Paulo, Brazil. I have added 9 photos of Ian from the event in to the photo gallery. 2000 – 2012 APPEARANCES UPDATED! I have updated all of Ian’s Public Appearances from 2000 – 2012, all can be viewed in the photo gallery.